100% ECO -FRIENDLY. 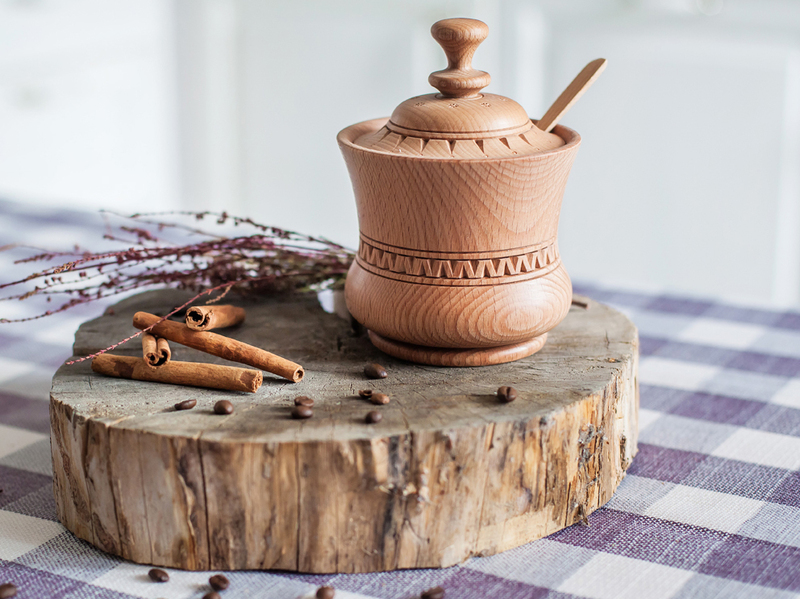 Made of solid wood - beech, pre-dried and boiled in water, which gives the sugar jar extra strength and excellent reddish tint. 100% QUALITY. 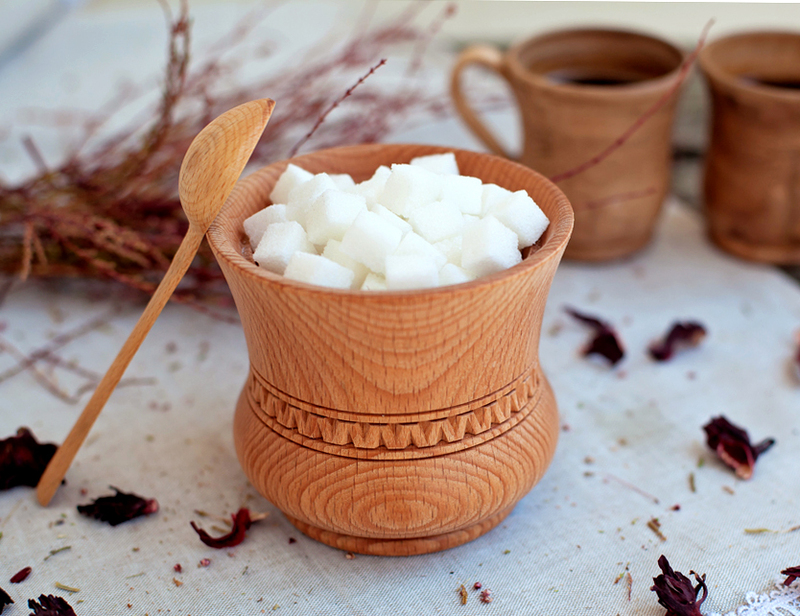 The sugar jar is carefully polished to a smooth texture. 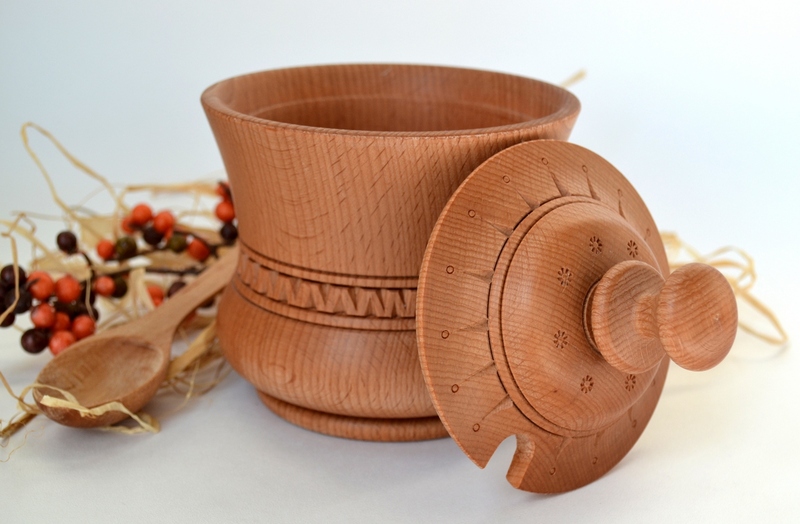 Carved pattern is manually made by a profesional Artisan. ENJOY COFFEE OR TEA. 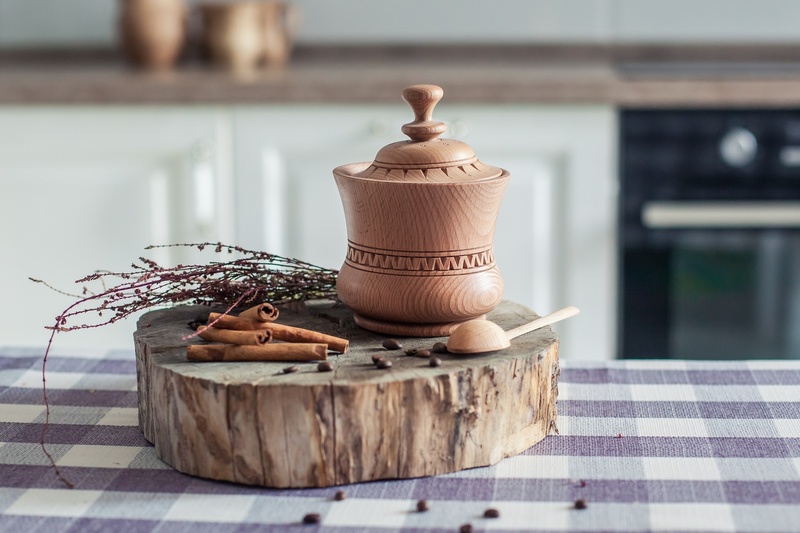 This sugar jar will be an astonishing addition to your coffee/tea table. 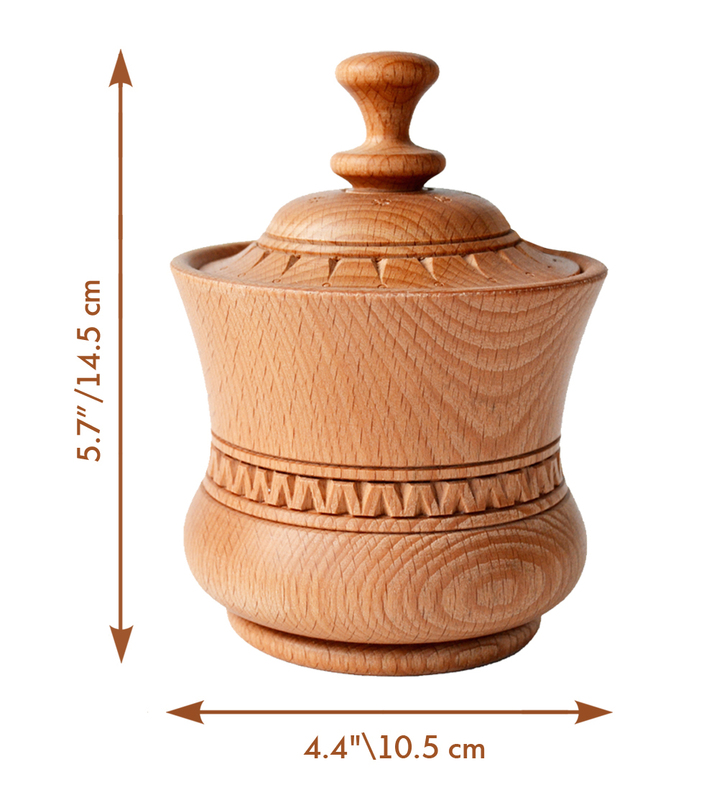 The capacity of this sugar jar is 400ml (13.5oz), which is a perfect size for everyday use. 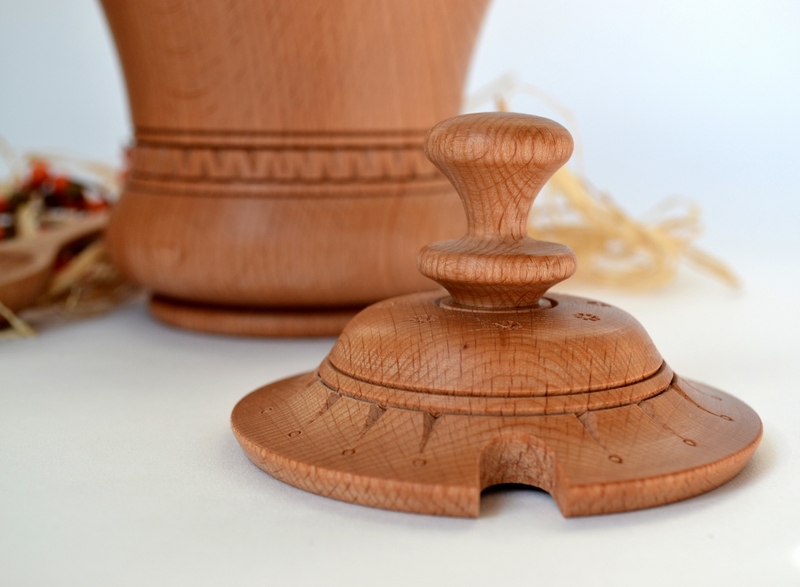 Made of environmentally friendly and safe for human health material - Carpathian beech. Beech refers to one of the most solid kinds of wood. Therefore, products made of it are distinguished by their solidity and durability. 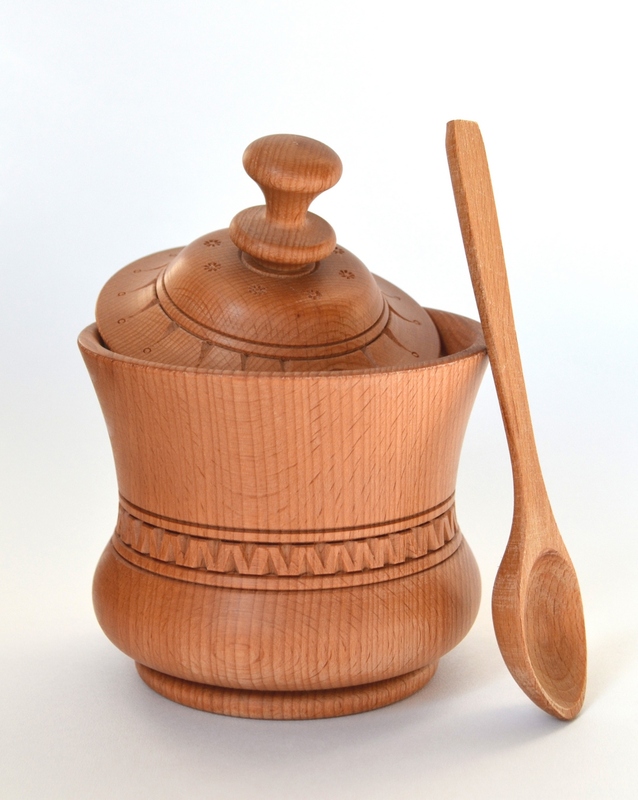 These qualities make beech wood a valuable material. The structure of beech wood is truly beautiful. Each product has its own unique pattern. Thanks to the boiling the beech acquires a beautiful and unusual reddish shade, which turns the dishes from this material into a real decoration of the kitchen interior. Our master made this sugar jar very professionally and of a high - quality. 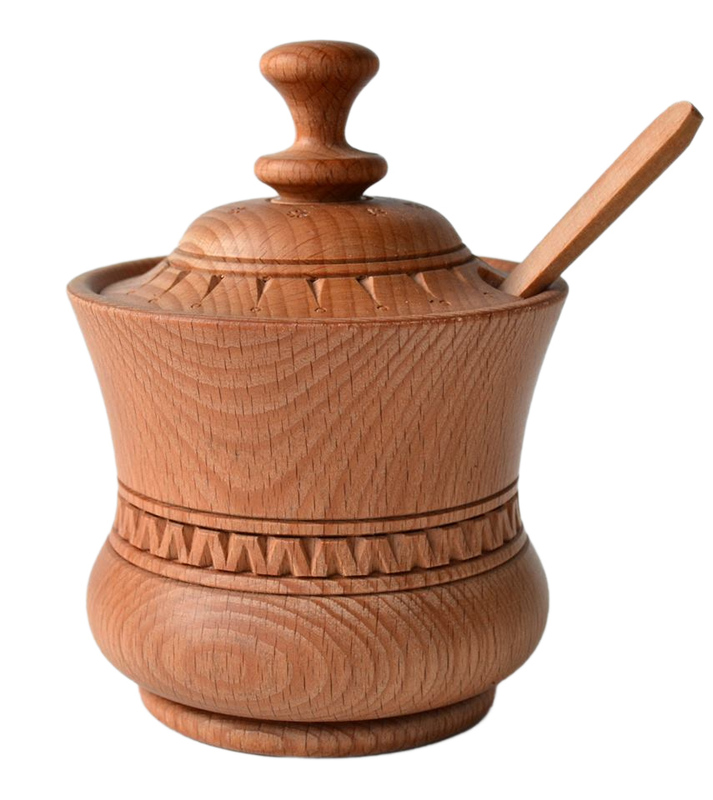 Excellently polished, with a smooth surface it also has a carved pattern on the body and the lid. The pattern is manually carved by the master. 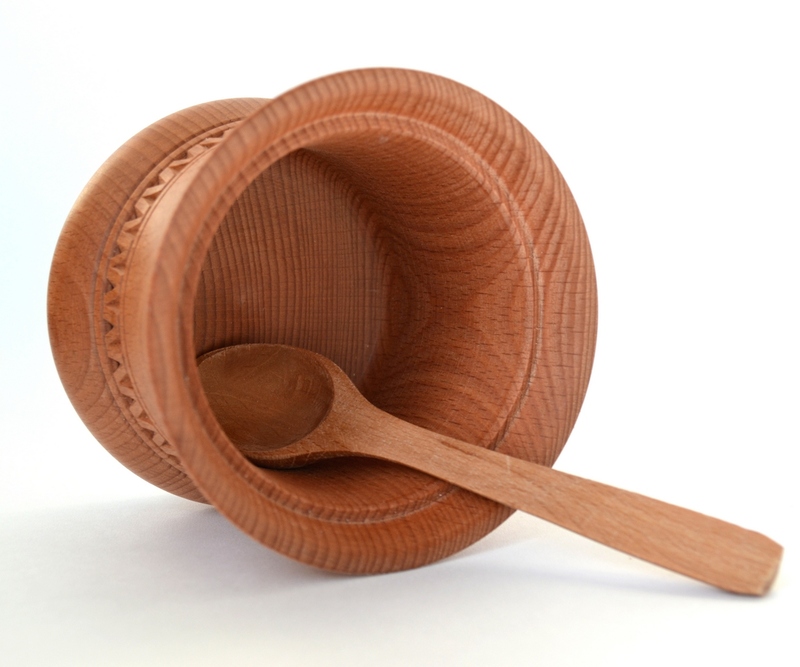 Beech spoon goes along with the jar in the set. Treat yourself with such beautiful and exclusive thing. Sugar jar can also be a pleasant gift for your close people to any holiday. Do not wash in a dishwasher. Do not soak in water. Otherwise, the tree will absorb too much moisture and as a result may lose its appearance. Wash under running water without using chemicals, then dry it with a tissue. Observing these simple rules will help this sugar bowl to delight you with its beauty and durability! Do not store wooden goods near the heating devices - batteries, radiators, convectors, etc. Also, do not leave them in the sun, the wood dries up and later cracks may appear. Be aware that increased humidity is contraindicated for all items that are made of wood. Therefore, do not store them in the drying over the washbasin. Best place for keeping wooden goods is in the locker or any other dry place. Do not leave wooden items in a container with water for a long time. Wipe them dry with a towel after each time you wash them. Drying in any drying equipment is contraindicated and leads to deformation and cracking.